Bearded dragons need a varied diet that includes proteins, vegetables and fruits. For baby and juvenile bearded dragons, the diet should be about 70 percent protein and 30 percent vegetables and fruits. An adult bearded dragon diet should be about 20 percent proteins and 80 percent vegetables and fruits. The vegetables and fruits should always be varied. Crickets are the most common feeder insect for pet lizards. When offering crickets to bearded dragons, you want to offer as many as the lizard will eat in about 10 minutes, removing what's left for the next feeding. You want to lightly dust the crickets with calcium and vitamin supplements, but you don't want to dust the crickets with both supplements on the same day. Alternate calcium with D3 and a multi-vitamin supplement every other feeding, so that every time you offer your pet dragon crickets, the crickets are dusted with either calcium or vitamins. Offer bearded dragons less than 2 months old supplements daily. Bearded dragons between 2 months and 6 months old should received supplements every other day. Offer bearded dragons between 6 months and 1 year crickets dusted with calcium every other day and with vitamins three times a week. 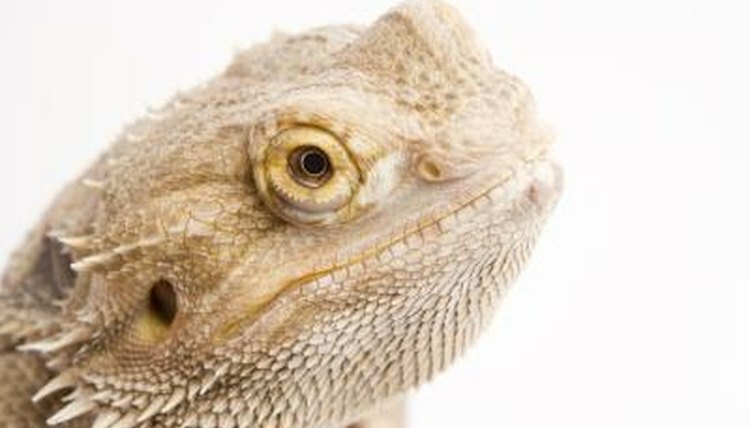 For a bearded dragon over 1 year old, offer calcium every two to three days and a vitamin supplement twice a week.